With the DOFUS 2.49 update and the arrival of the Ebony Dofus, we introduced the Infinite Dreams. This is a rogue-like inspired PvM feature that allows players to measure their skill and prove their worth against dungeons of increasing difficulty and collect Dream Reflections. This rare resource allows the most powerful players to craft legendary items. This first version proved incredibly popular, but it had two flaws: the global generation of Dream Reflections was higher than our projections, and it heavily handicapped some play styles, such as close combat. The 2.50 version saw the first steps towards correcting these flaws: by granting an MP and range bonus to monsters based on which dream floor they were in, it limited the creation of resources and compensated for the tactical advantage held by ranged fighters over close combat fighters. However, we underestimated your disappointment with the sudden increase in difficulty. You were numerous in expressing your dissatisfaction. Our goal is for you to enjoy playing, and we sincerely apologize for frustrating you with these changes. We are aware that your disappointment steams mainly from two mistakes we made: on one hand, these modifications bring about a sudden and unexpected change to your gaming experience, while on the other hand they were applied suddenly without giving you an opportunity to provide feedback before said changes were implemented. For this, we sincerely apologize. That is why, as of this week-end, we invite you to test the new version of the Infinite Dreams on the Beta server and to give us your feedback. Decrease and standardization of monsters’ MP and range. 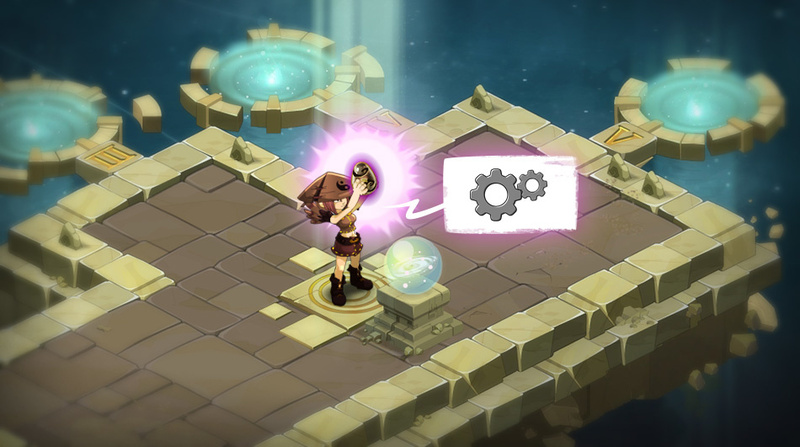 We are thinking about introducing additional improvements to this system (reward system overhaul, redesigning of the defeat and backup, implementing a starting pool, defining starting conditions of the fights (monster placement, in-fight challenges, for example), new rewards) during the next DOFUS update. Obviously, these points are still being brainstormed internally and we wish to evaluate and develop them with you, through continuous dialogue. We read your forum posts, as well as your Facebook and Twitter messages, and we take them into consideration during each game design step. In the meantime, we are counting on you to continue to fuel the discussion and to test these immediate and urgent changes on the Beta starting this weekend, changes which we could deploy on Tuesday.